Gaming really is an international hobby. While all of us mostly just focus on what's happening down at our LGS, the companies that make our games really are international, and there are millions of LGS's all across the world. So companies like Corvus Belli celebrate special holidays from all over. 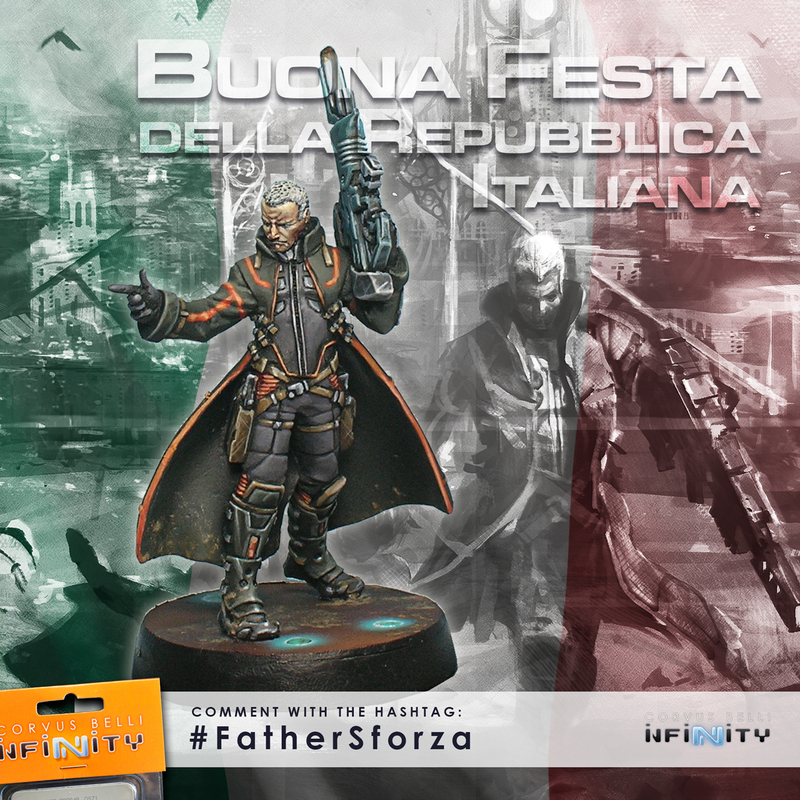 Today they're celebrating Republic Day in Italy with a special giveaway. What do you gotta do to enter? Pretty simple. Go to their Facebook page and comment on their post. Or you can head to Twitter and answer the question of, “Who do you think is the objective of Sforza?" with the hashtag #FatherSforza. As you can tell from the graphic and that question, the winner will get 1 Father Lucien Sforza Auth. Bounty-Hunter (Viral Rifle+ADHL). You only have today to participate, so you'd better hurry.